The hardest part is done. You have a story, a slice of your life or an experience down on paper. But you aren’t finished yet. There are still important steps left to ensure that you have the most successful essay you can. The tricky thing about writing, which most writers will tell you, is that you are never quite sure when you are finished. But there are a number of things you can do to make sure you send the best version of your essay to all your schools. Can 100 other applicants write this essay? Does the first sentence create mystery or draw the reader into the essay? If it opens with a quotation, story, or statement, do I bring the essay full circle by referencing this idea again? Can the reader predict what the essay will be about in the first two lines? Is the essay free of spelling and grammar mistakes? Does it answer the question correctly, or answer the correct question? Have I put together a story or created my emotional arc? Am I bored reading my own essay? If you struggle to answer any of these questions, you may want to secure a second position. Many eyes are fine, but there should only be once voice speaking in your admission essay. If you have started writing your essay early, you will have plenty of time to let it rest. No matter how many times you look at it, sometimes the inspiration just won’t be there. Your best chance of being able to read your own essay objectively is to put it away for a while. Put it in a folder or a drawer and don’t think about it for a week. Don’t read it. Then, come back to it later and read it again. There will be errors, discrepancies, or portions you don’t like that have become obvious, that you did not notice as you were writing or the first few times you read it over. By putting some distance between you and your own writing, you will be able to get a “fresh look” at your own work. If you distance yourself for a few days, a week, or a month, you become more willing to change something that you initially refused to let go that was hurting your essay. No matter how many times you read it over, you still may be missing something. You need another perspective as to how the voice in the essay sounds. In fact, ask a few people to read it, maybe a family member and a friend. Ask them if it sounds like your writing. If they can’t find you in the essay, then you need to change some things. They can also check the transitions and the general flow of the essay. You may not notice if the essay is choppy because in your head it makes sense, but your friend will notice if one minute you are talking about your dedication to music and next you are telling stories of you and your brother at the beach when you were three. We all know the importance of basic grammar and spelling in our college admission essay. If you have already read your essay a hundred times and you read it again for spelling errors, there is a good chance you may miss one because your brain already knows what word is supposed to come next. Instead, start from the last word of the essay and read each word from end to beginning. By interrupting the regular flow of reading, you will become more aware if an individual word is spelled wrong. You get a completely different feel for the flow of the essay when you read it aloud. You have probably noticed these differences if you ever had a project to present in class. What an essay sounds like in your head is far different from what it sounds like out loud. This will also help you identify where you may need to create clearer transitions. Your essay should be clean and free of any unnecessary words and phrases. You don’t have a lot of words to play with, so it’s essential that you keep it to the essential. Adjectives and adverbs are great, but your admission essay is not meant to be a flowery description of your garden (no terrible pun intended); it’s supposed to be informative. A great way to start the essay is with a description, but make sure you don’t overdo it. No noun needs five adjectives, or even three for that matter. I had a professor who called it the “cold, hard, grey rock” syndrome. We know most rocks are cold, hard, and grey. Unless there is something terribly unusual about a usual object, you don’t need to tell the reader what he already assumes. Also, many students feel they need to say the same thing in a few different ways for emphasis. Instead, make sure you are saying it once, effectively. The beauty is in the details. Yes, I just told you not to overdo the details. You certainly want to include details; you just want to be choosey. Describing an elephant as big and grey is unnecessary and expected; describing your newborn baby brother as a wonderful, smiling peach is not expected and is an observation that is unique to you. This essay is about you, but that doesn’t mean every sentence has to begin with “I think…” or “I feel…” Instead, challenge yourself to start each sentence with a different word. Vary the length of sentences; too many long sentences in succession can become confusing or wordy, and too many short sentences are choppy. 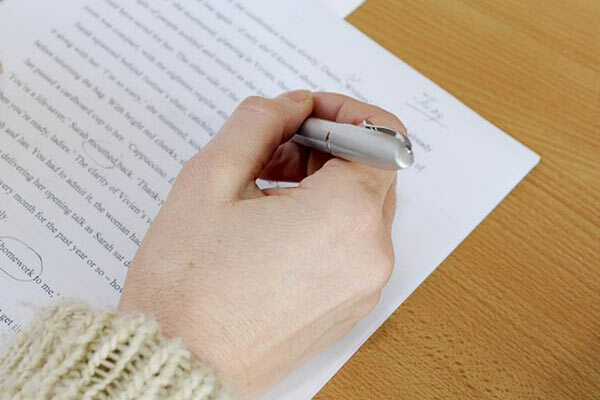 Although you want to write this essay using the comfortable pattern of speech and writing style you usually use, this is still considered a formal essay. The way you speak with your friends is colloquial. It is okay to be comfortable in your essay, but avoid being too colloquial. Speak in a way that is natural to you; however, you do not want to be so comfortable that you abandon all appropriate rules of writing. For example, describing an experience as “cool” or saying that “My two years at summer camp were awesome,” is too informal, and frankly, not very descriptive. You should also never write with abbreviations that you might write in e-mails or over IM, unless of course you are including an exchange with someone you had over e-mail or IM. Want more college essay advice? Check out our Application Essay Clinic! James Maroney founded First Choice College with the purpose of helping students achieve their true potential at the college of their choice. First Choice College provides SAT classes, boot camps, online training, and more to help students prepare for the SAT or ACT. James has helped thousands of students achieve their goal of attending their chosen university. He has toured hundreds of campuses across the country, advising students on the SAT.